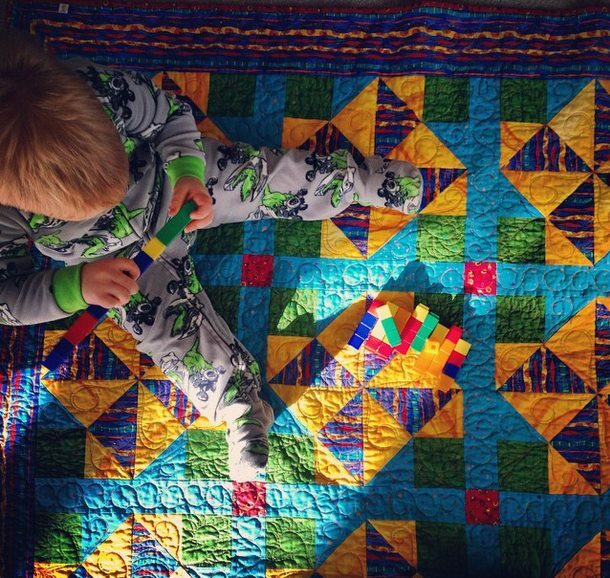 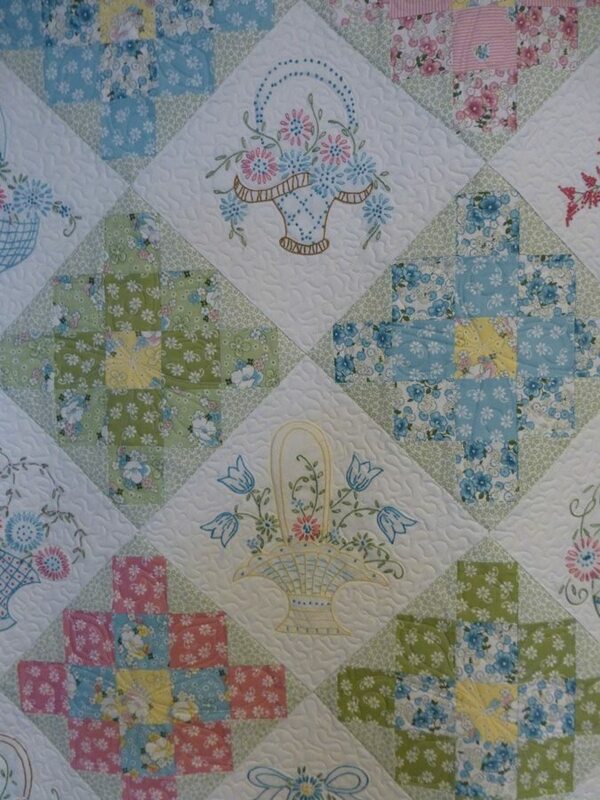 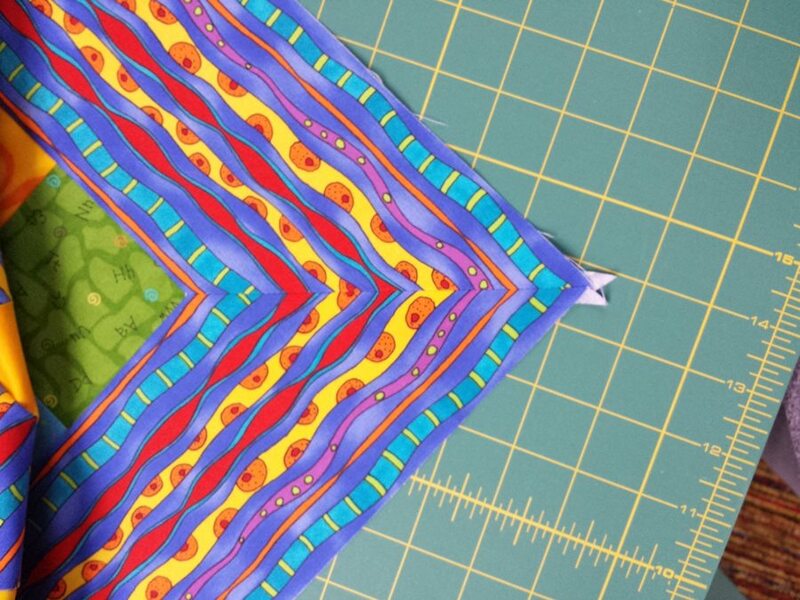 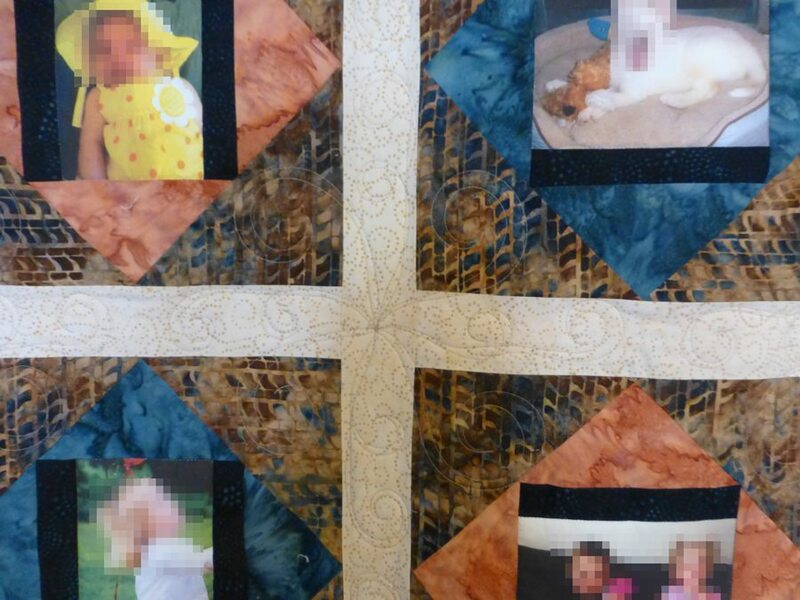 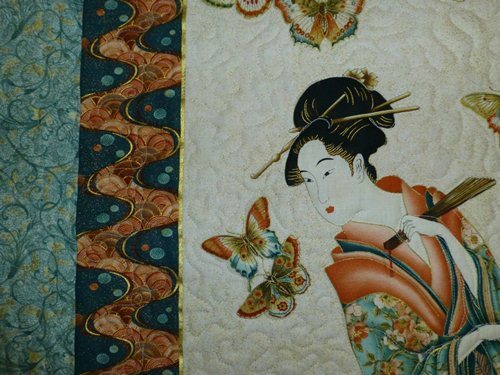 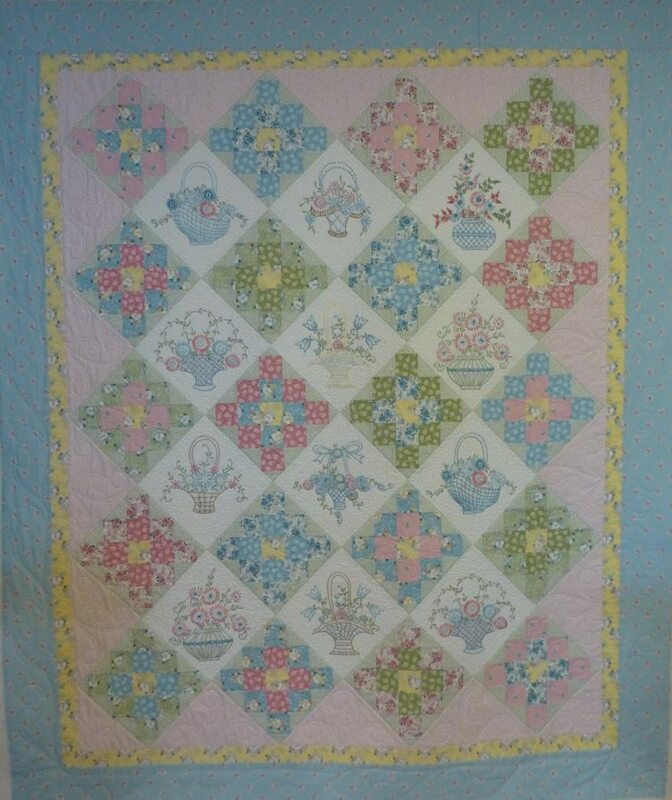 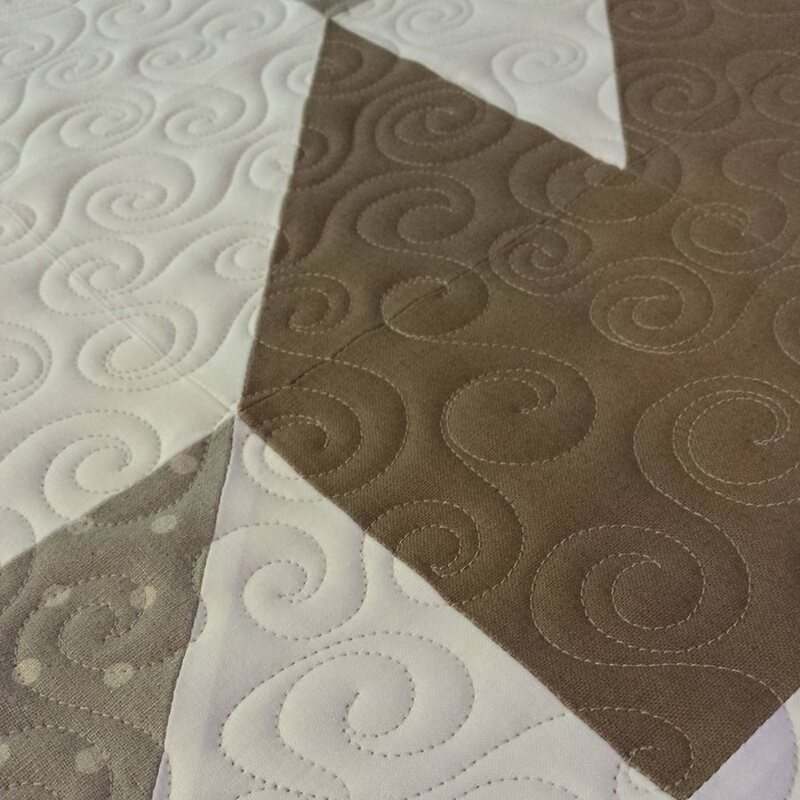 A beautiful quilter wanted her wallhanging custom quilted to highlight the center panel and accent the borders. 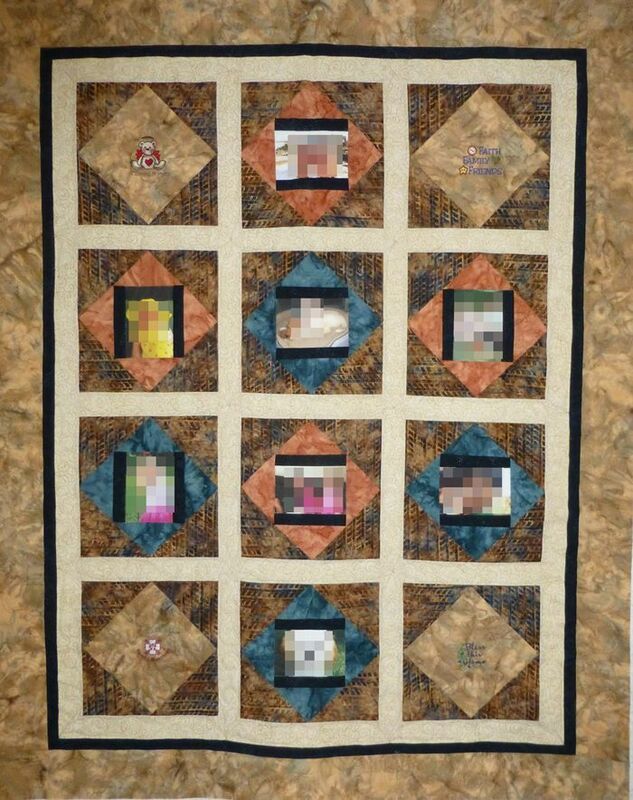 My favorite is the mosaic style maze border that she added. 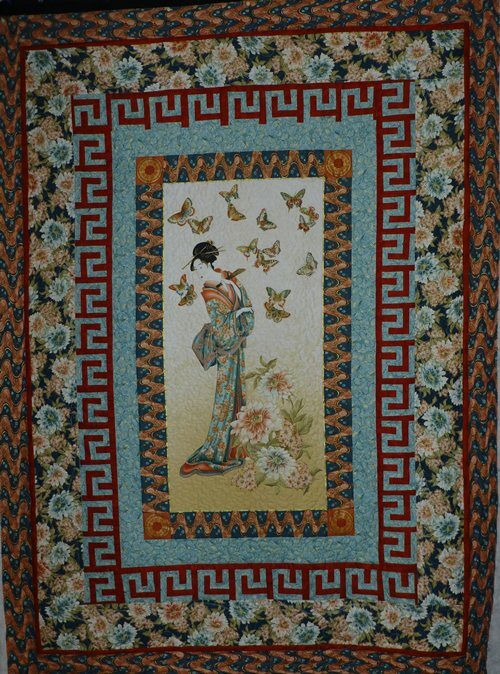 Just beautiful work! 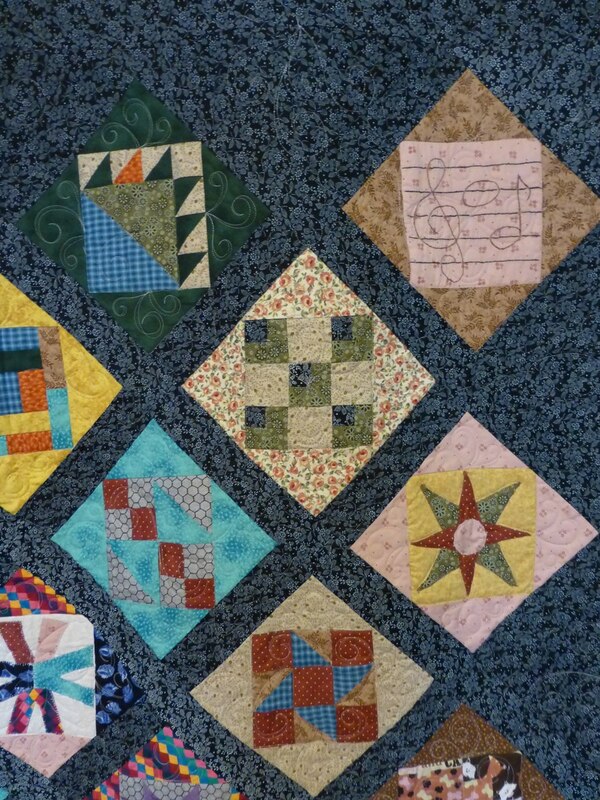 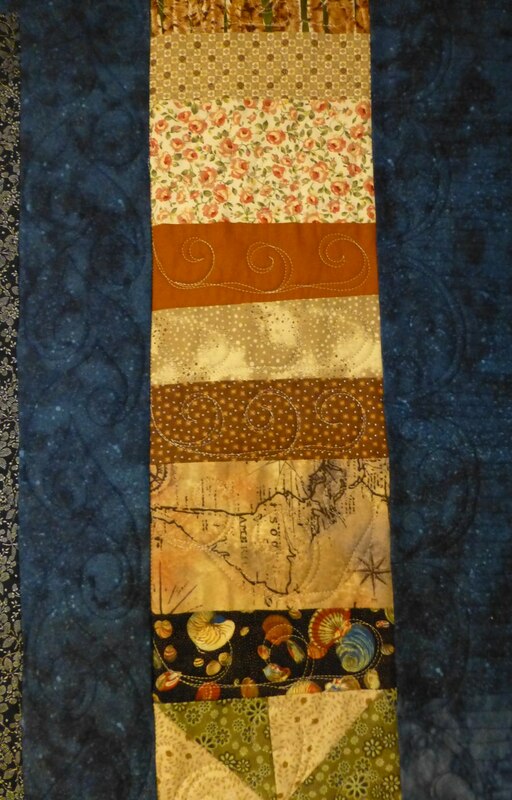 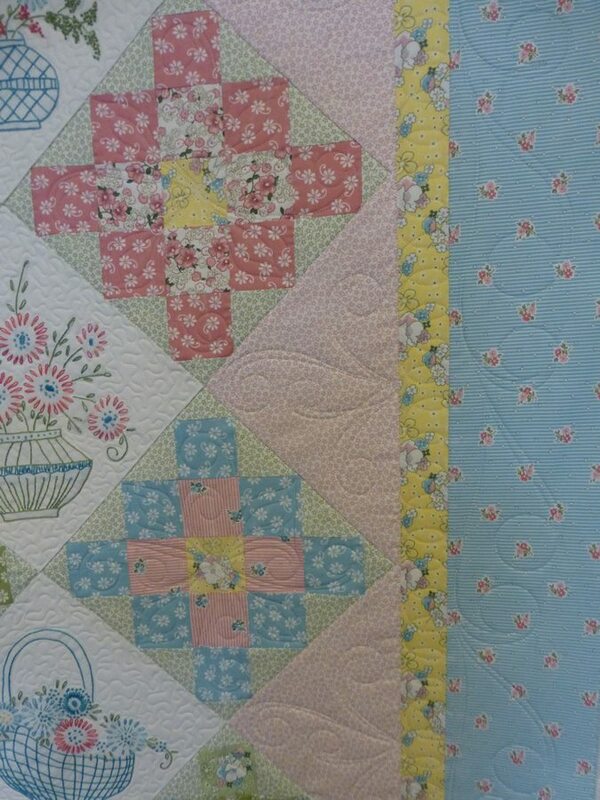 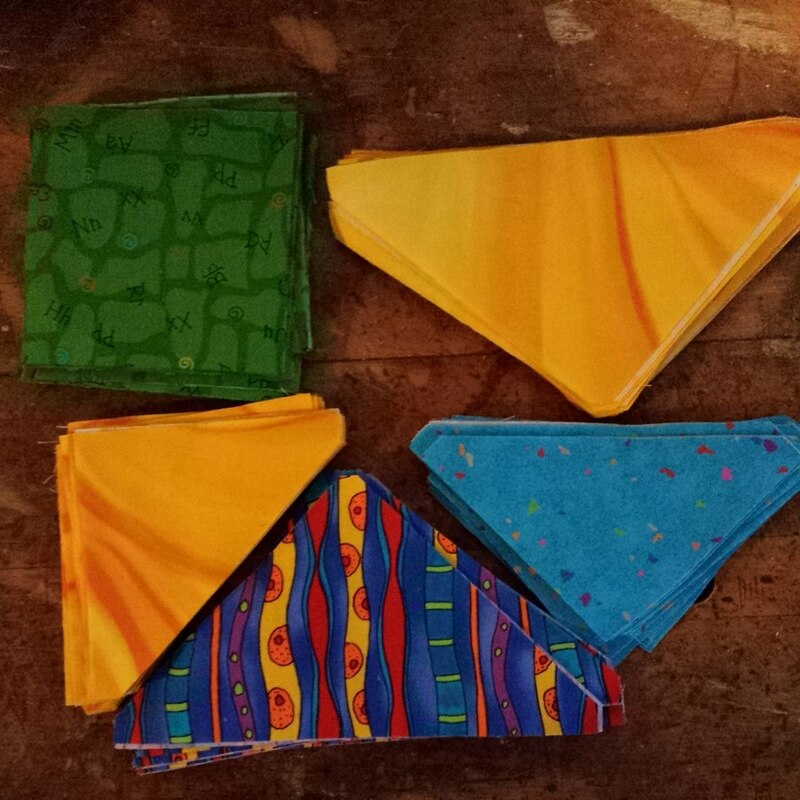 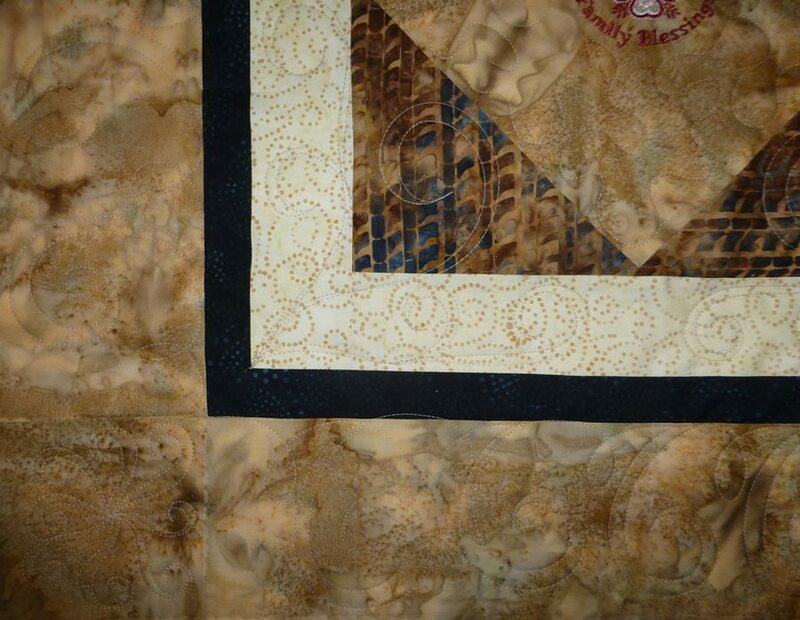 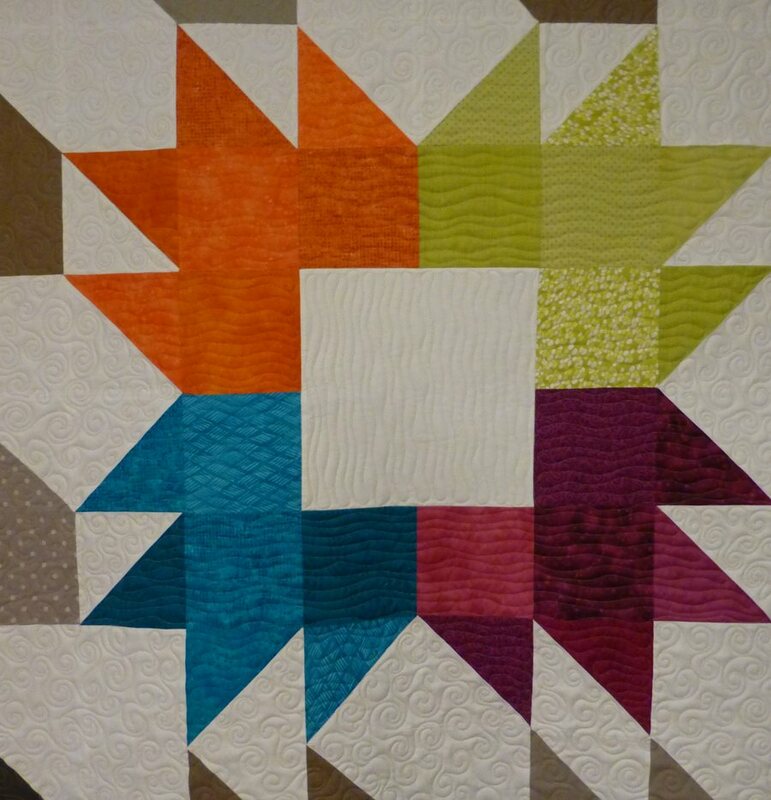 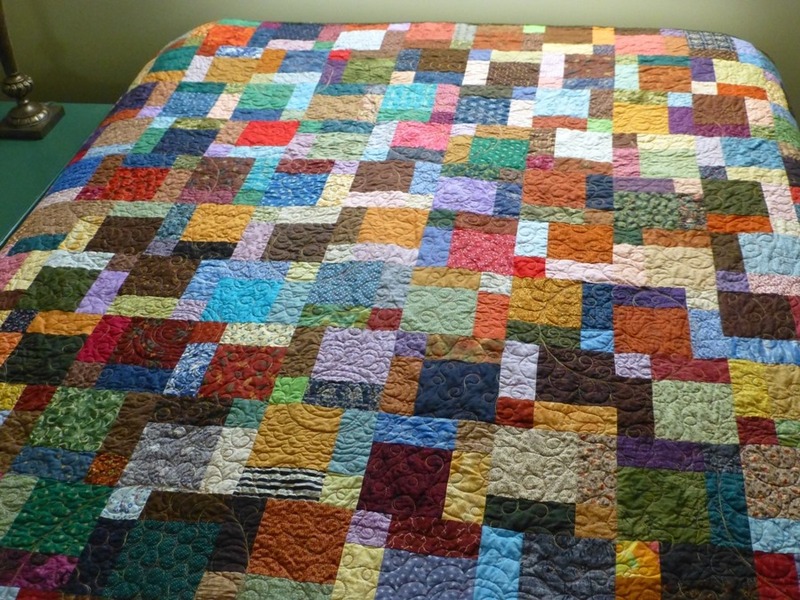 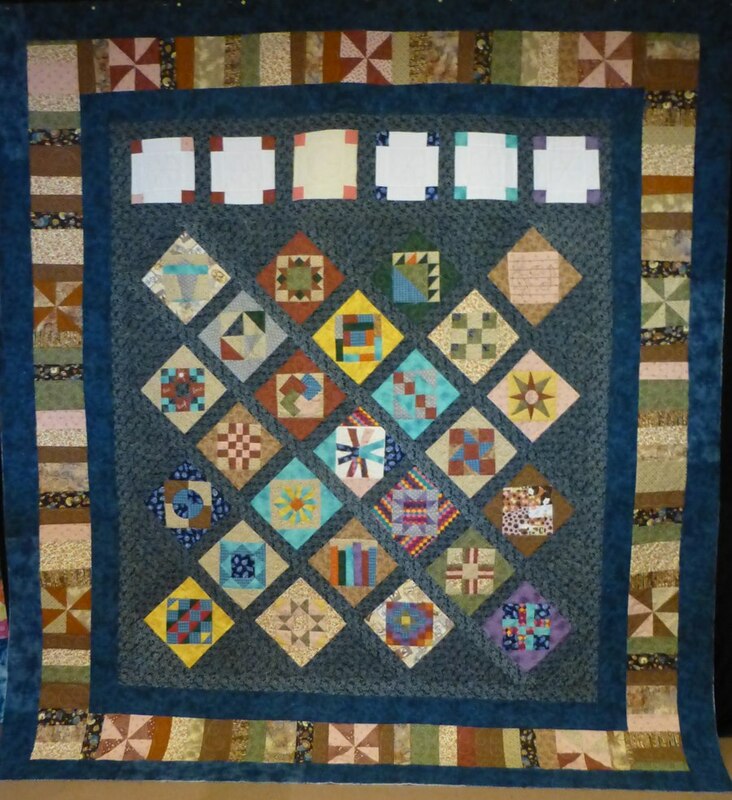 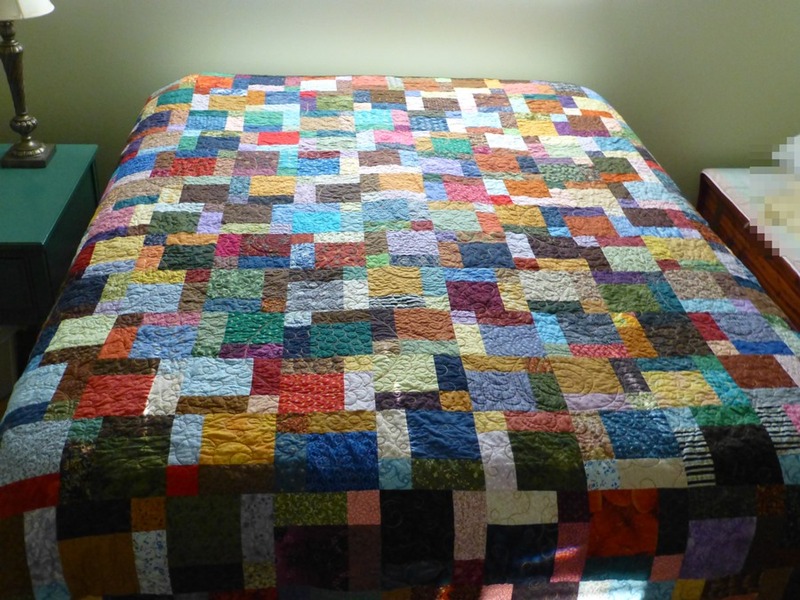 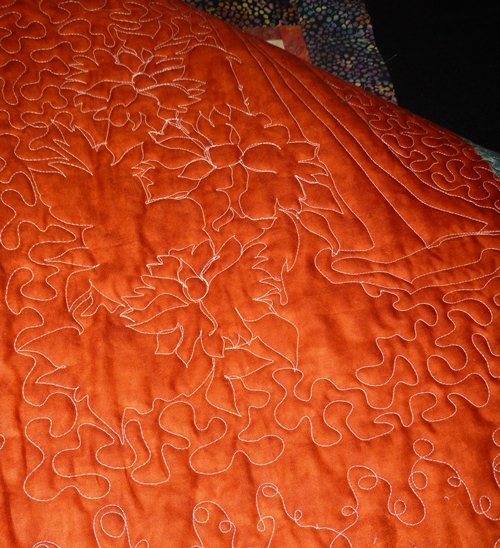 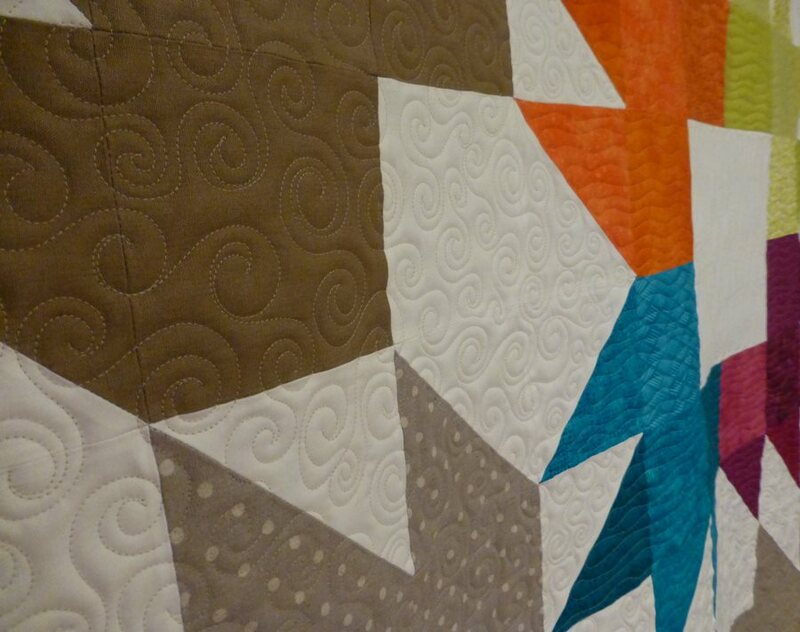 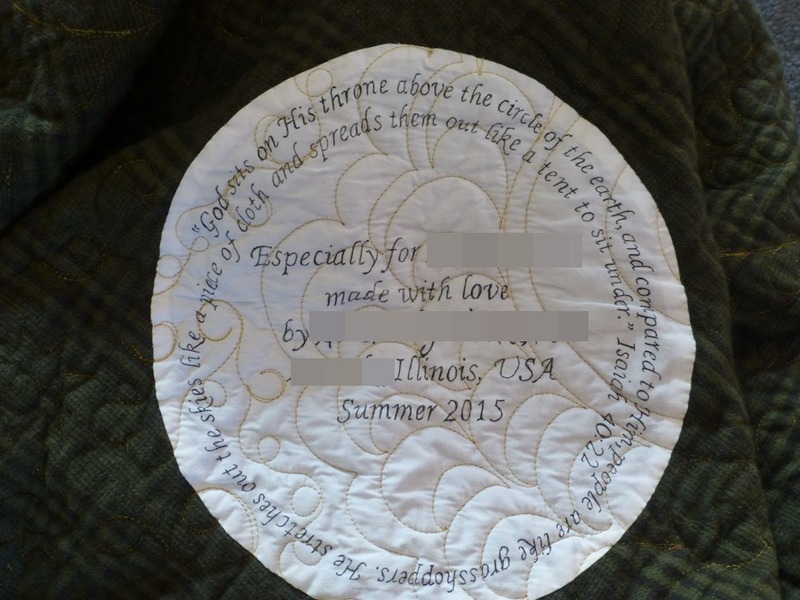 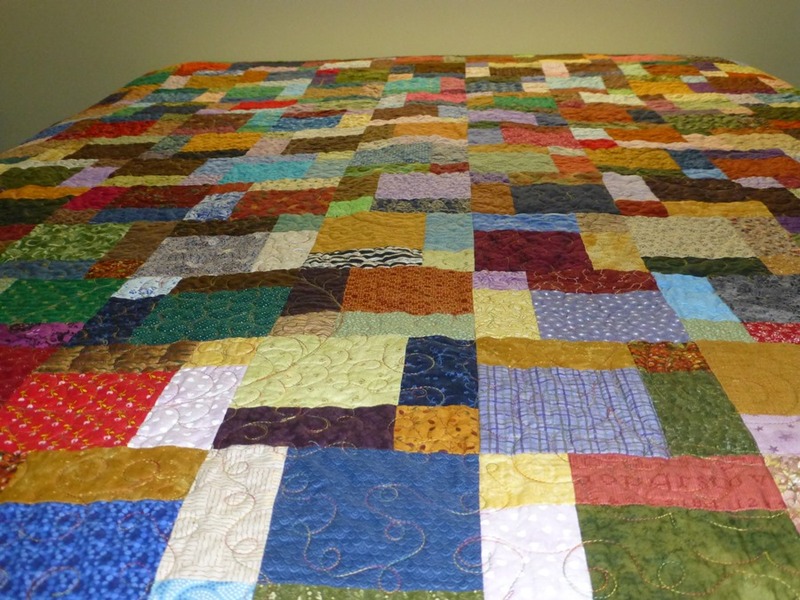 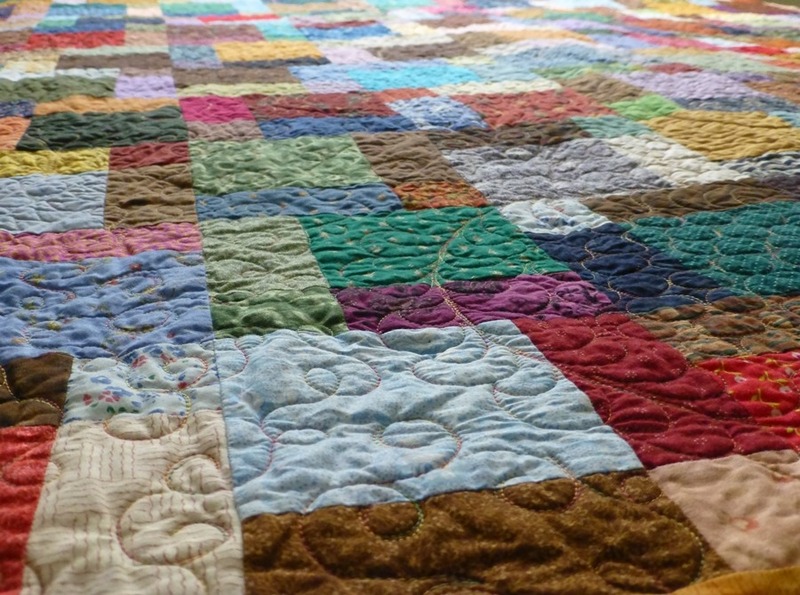 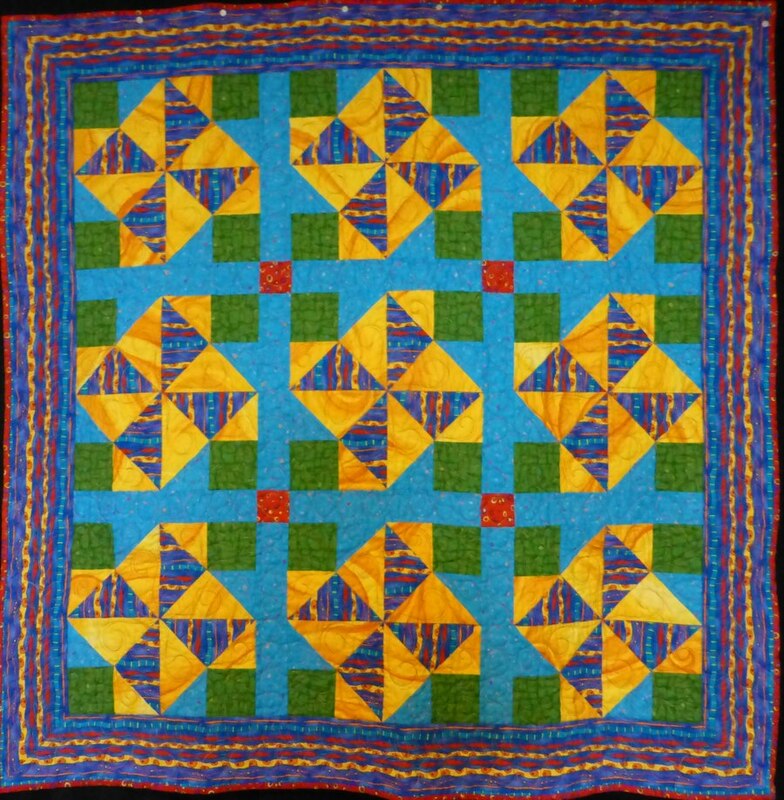 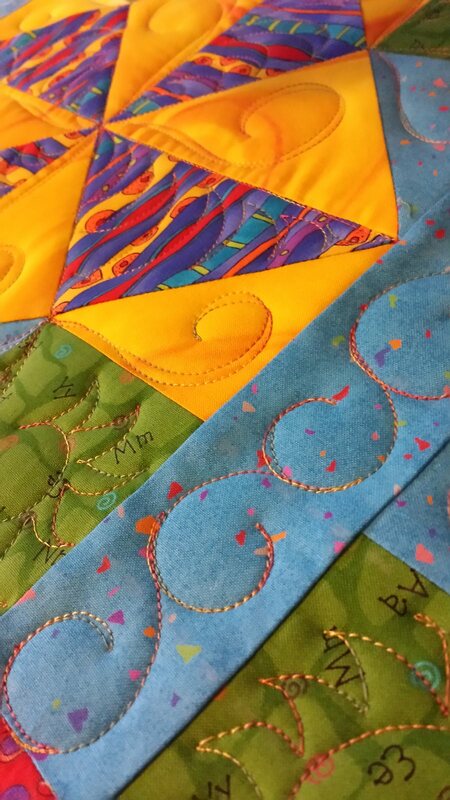 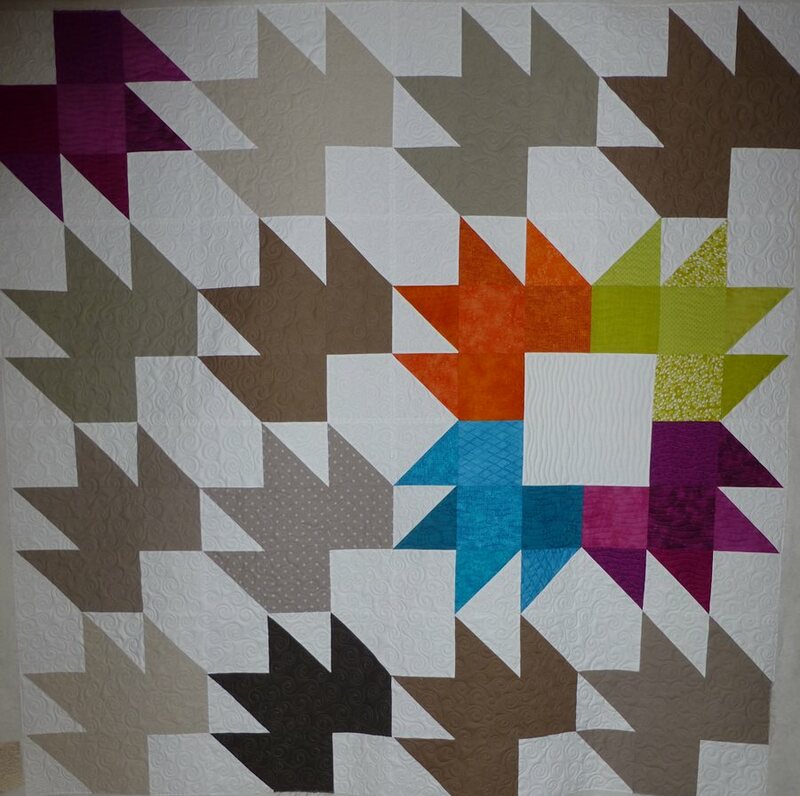 And the back showing part of the center panel quilting….